Charges A and B are placed a distance of from one another. The charge of particle A is whereas the charge of particle B is . Charge B experiences an electrostatic force of from charge A. Similarly, charge A experiences an electrostatic force of from charge B. A student places these two charges in a vacuum medium and measures . A second student places these two charges in a glass medium and measures . What is ratio of the force measured in the glass medium to the force measured in the vacuum? The dielectric constant of glass is . You can simplify this question tremendously by using the definition of a dielectric constant. Dielectric constant is defined as the ratio of the electrostatic force in vacuum to the electrostatic force in the medium (in this case glass). The question is asking for the reciprocal of this value: the ratio of the force in glass to the force in the vacuum. Our answer is calculated by taking the reciprocal of the dielectric constant of glass. How much work is done by the electric field moving an electron along an equipotential surface with a potential of ? Moving a charge along an equipotential surface will involve no work done by the electric field. The potential is constant throughout an equipotential surface; therefore, the potential difference experienced by the electron will be zero. Remember that energy is dependent on the potential difference. If the potential difference is zero then the energy (and work) will be zero. What is the ratio of to ? 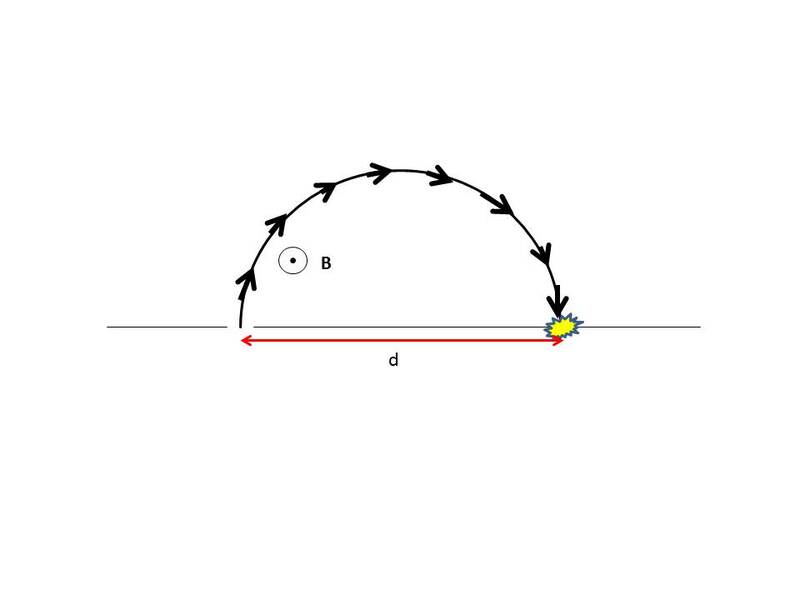 This question is very simple if you realize that the force experienced by both charges is equal. In this question, we can rewrite this equation in terms of our given system. It doesn’t matter if the charges of the two particles are different; both particles experience the same force because the charges of both particles are accounted for in the electrostatic force equation (Coulomb's law). This conclusion can also be made by considering Newton's third law: the force of the first particle on the second will be equal and opposite the force of the second particle on the first. Since the forces are equal, their ratio will be . An excess charge of is put on an ideal neutral conducting sphere with radius . What is the Coulomb force this excess charge exerts on a point charge of that is from the surface of the sphere? In this equation, is Coulomb’s constant, is the excess charge on the spherical conductor, and is total distance in meters of from the center of the conducting sphere. A proton traveling at in a horizontal plane passes through an opening into a mass spectrometer with a uniform magnetic field directed upward. The particle then moves in a circular path through and crashes into the wall of the spectrometer adjacent to the entrance opening. How far down from the entrance is the proton when it crashes into the wall? The proton’s mass is and its electric charge is . We can set these two equations equal to one another, allowing us to solve for the radius of the arc. Once the particle travels through a semicircle, it is laterally one diameter in distance from where is started (i.e. twice the radius of the circle). 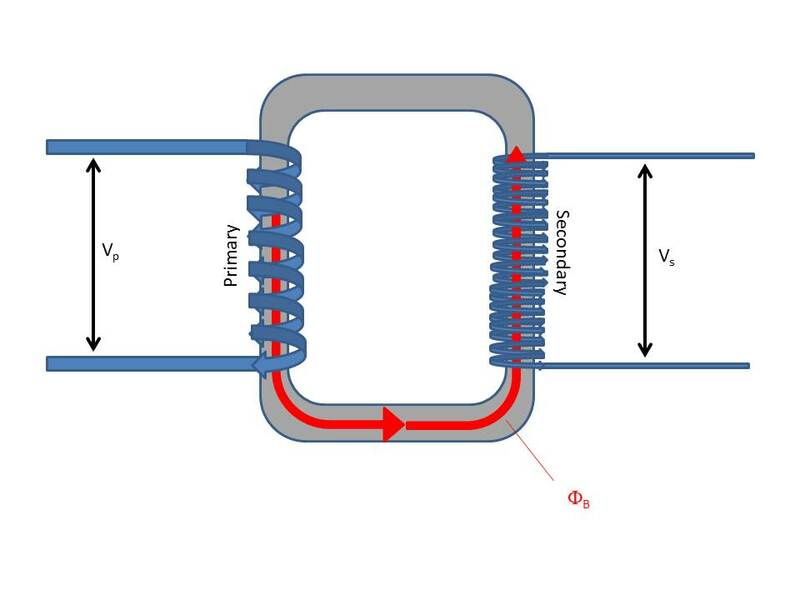 An ideal transformer, under a purely resistive load, consists of an iron core that directs all the magnetic flux from a primary winding through a secondary winding. The primary winding has closely-packed loops along the coil (such that all see the same magnetic flux). The primary line carries an alternating current at a potential of . If the secondary line is to have a potential of , how many closely-packed loops are required in the secondary winding? In basic consideration, the electrical transformer works directly according to Faraday’s law, following the picture given below. NOTE: This only works under alternating current. Otherwise, there is no change in current to create the changing magnetic flux on which the transformer depends. Which of the following is equal to the time constant of an RC circuit? This is defined as the time it takes the capacitor to reach a charge that is around 63% of the maximum charge. It is also the time it takes to discharge around 37% of the charge. This value is commonly used to determine the amount of charge a capacitor has or the amount of current flowing through the capacitor at any given time point. Which of the following statements is false regarding capacitors? According to the equation above, an increase in capacitance will lead to decrease in the amount of energy stored. This means that a larger capacitor will store less energy; therefore, statement I is false. Any circuit elements connected in parallel will always have the same voltage drop. This applies to resistors, capacitors, and inductors. Statement II is true. In this equation, is the area of the plates and is distance between the plates. Increasing will lead to a decrease in capacitance; therefore, statement III is false. A capacitor has a stored charge of and a potential energy of . What is the voltage across the capacitor? By substituting into the second equation you can write the change in potential energy in terms of voltage and charge. Rearranging the previous equation will allow us to solve for the voltage. Use the given values for stored potential energy and charge to solve for the voltage. A battery is hooked to a circuit with a and a resistor in series with each other, and with a branched set of three parallel resistors of , , and . What current does this circuit draw from the battery? Our first step will be to find the equivalent resistance of the circuit. Simple resistors add in series, and add inversely in parallel. For the and resistors in series, the total resistance is simply the sum. For the resistors in parallel, the inverse of the total resistance is equal to the sum of the inverse of the individual resistors. The total resistance of the circuit will be the sum of the series resistance and parallel resistance. Now we know the total resistance of the circuit and the voltage supplied from the battery. Use Ohm's law to solve for the current in the circuit. Reed College, Bachelor in Arts, Physics.